Are you anxious about the state of your carpets throughout your home? Does it feel like they'll never look as clean and new as when you first laid them down? It is natural for carpets to become grubby and stained over time, but you no longer have to fret or despair! Here at Clean Gutters our renowned carpet cleaning services can take care of stained, dirt ingrained and grubby carpets and rugs. Our rug cleaning services will wipe clean all your worries and you'll have your brand new, fresh, clean carpet or rug back again. Our highly skilled and experienced house cleaning staff will arrive at your home with the best equipment and tools in the business, but we can also offer much more than that. Our talented team of carpet cleaners can also provide sofa cleaning and upholstery cleaning too. Sofas and fabric furniture can often get just as grubby as carpets and rugs, so let us take care of it all in one go. Let us return your prized and beloved sofas and foot stools back to their former glory with our sofa cleaning and upholstery cleaning services. Let our specialist steam cleaning rescue that dull and dirty rug or carpet you thought was beyond help. 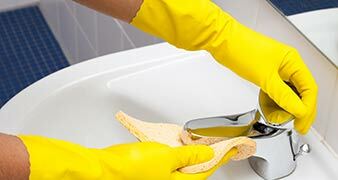 Whatever your cleaning needs throughout West London, we can help, so get in touch today on 020 3540 7989. West London has long been considered a highly desirable place to live. It is an extremely successful and beautiful area of London, with many large parks and greens throughout Hounslow, Richmond, Harrow and Hillingdon. You can almost walk entirely through beautiful green pathways through back-to-back parks taking you right the way down into South West London. In West London we have Ealing, a clean and busy town centre surrounded by small leafy greens and parks. A vibrant coffee culture thrives here with small independent shops selling crafts and home made produce. Notting Hill is a famous area which houses the vibrant Portobello Road market in W10 - a colourful and busy antiques and food market. Hammersmith is a much more urban area and acts as a vivacious entertainment and cultural hub. Shepherds Bush in W12 is home to many more cultural treats, homing the original BBC Television Centre as well as the Shepherds Bush market. Full of food stalls, fabric shops, the expansive Westfield Shopping Centre and the brilliant Bush Theatre, Shepherds Bush really can't be beaten on variety. For a varied and vibrant experience, West London certainly has its highlights and it's no surprise it's such a popular cultural hub. So whatever your carpet cleaning and rug cleaning needs in West London, here at Clean Gutters, we can help you. We carefully hand pick all of our carpet cleaning staff with the highest standards. We only take on board the most efficient, knowledgeable, experienced and reliable cleaners who we can trust to provide you with the most prompt and thorough steam cleaning service every single time. But, we don't just employ cleaning robots! Our philosophy as a top cleaning company is that; yes, cleaning is a skilled craft to be taken seriously but all our staff are extremely personable and friendly. We look for down-to-earth people to become our cleaning professionals because we know, from years of experience, that passionate cleaners who care about their profession are worth their weight in gold. So get in touch today on 020 3540 7989 and learn how our golden team of upholstery cleaners can provide you with the very best in house cleaning.